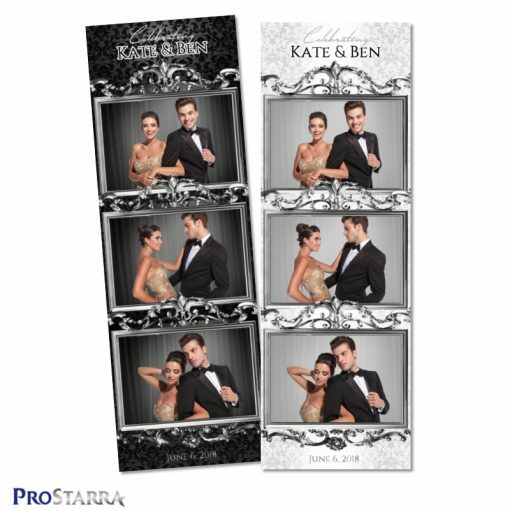 This chic 3 photo strip layout template is a perfect way to infuse a wedding or special event with extravagant elegance. The design is striking and bold, yet at the same time, it feels classy, elegant, and sophisticated. It combines old world over-the-top elegance and refinement with a modern look and feel. 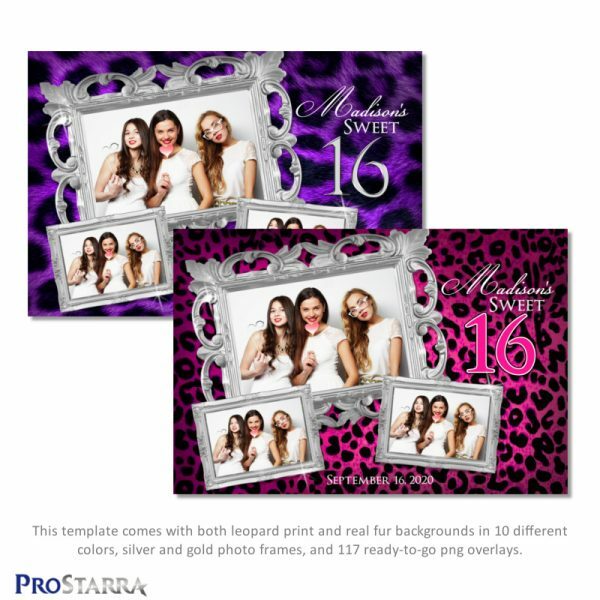 This 2×6 inch traditional style photo booth template comes in both classic white and black. The template also comes in two different layouts: one with room at the top for text such as a bride’s and groom’s names and another with room at the bottom for this kind of text along with a wedding date if you wish to add one. If you know how to use either Photoshop or Gimp (you can always learn on YouTube videos), you can change or modify this template in any way. This download package includes layered, organized PSD files, Elements files, and Gimp files. 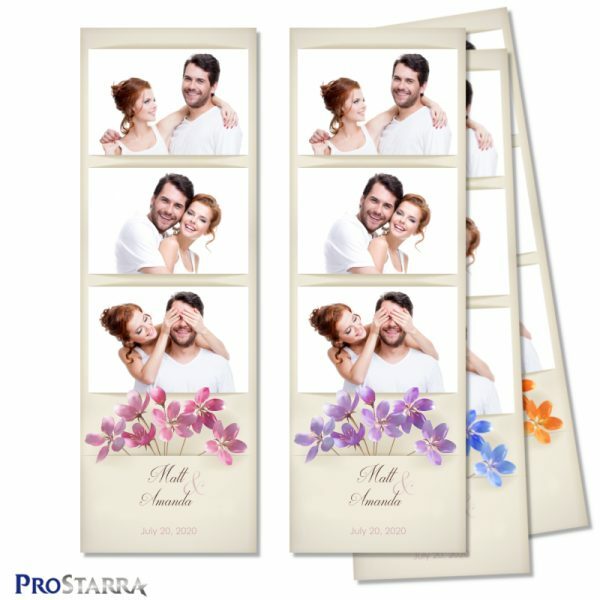 This template works for the following photo booth systems: Darkroom Booth, dslrBooth, Breeze systems, Sparkbooth, and likely most other software systems. For so many photo booth owners, editing images in Photoshop isn’t something they really want to do. If can relate, we’ve got you covered. 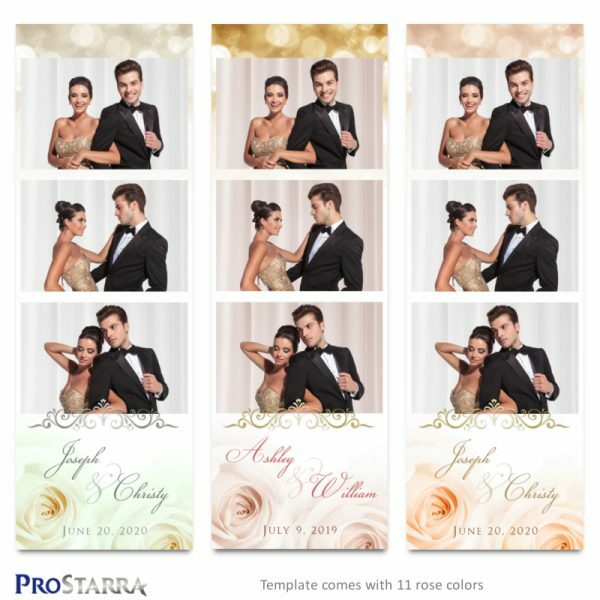 This chic, wedding and special event template comes with both black and white ready-to-go overlays that you can load into your photo booth software and be up and running really quickly. 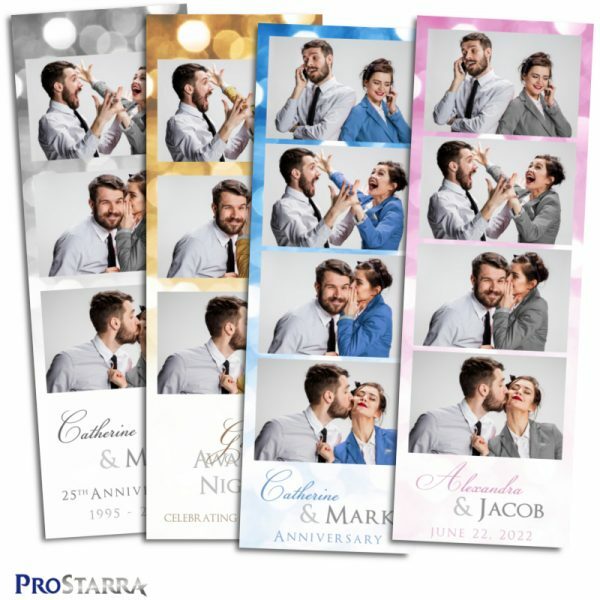 Pretty much all you need to do is add your text for the wedding or special event you’re providing the photo booth for. template.psd (Photoshop file) – It comes with two of these: one for the layout with a text area at the top of the layout and another with the text area at the bottom of the photo strip layout. template-elements.psd (Photoshop Elements file) – Again, it comes with two of these for the same reasons mentioned above. template.xcf (GIMP file) – Comes with two of these for the two variations of this photo strip design. 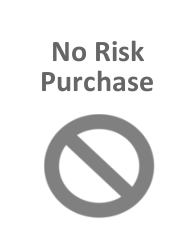 Links to the fonts used in this layout are included with the template. 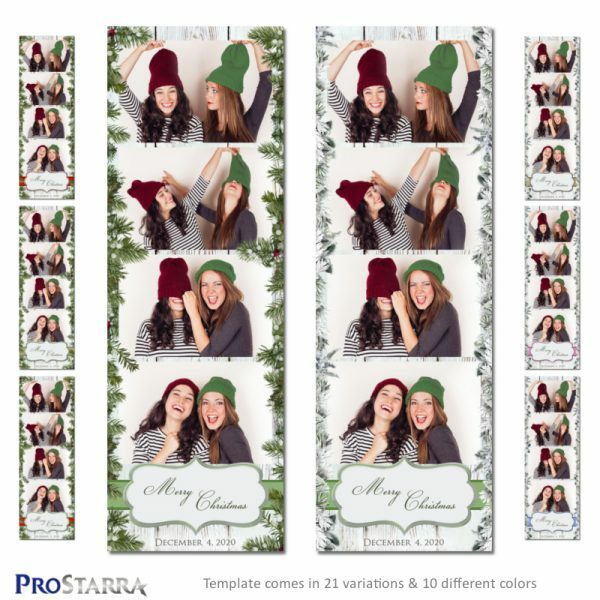 If you have any comments, thoughts, or suggestions, please let us know at info@prostarra.com. We are new and have many more features we’d like to add, but we want to do better too. So please let us know if you see a way for us to do better. We’d also love to hear about any photo strip concepts you’d like to see us make available in the future.